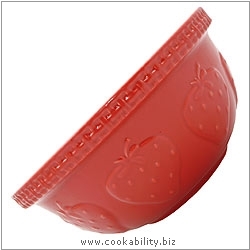 A traditional glazed earthenware mixing bowl is a must for every cook. With a cream inner and textured biscuit-coloured outer. Mason Cash has been making traditional English kitchenware in Derbyshire for more than 200 years.